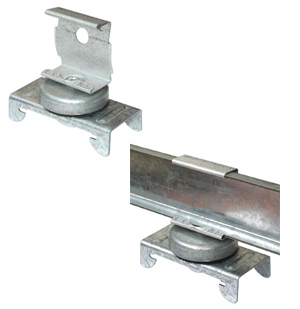 The RSIC-1.5CRC™ is designed for use with any joist or concrete application where a dropped drywall ceiling is required. This assembly decouples the Gypsum Board from the floor structure above, giving the assembly enhanced acoustical performance, while allowing for a chase to hide mechanical ducting and plumbing lines. 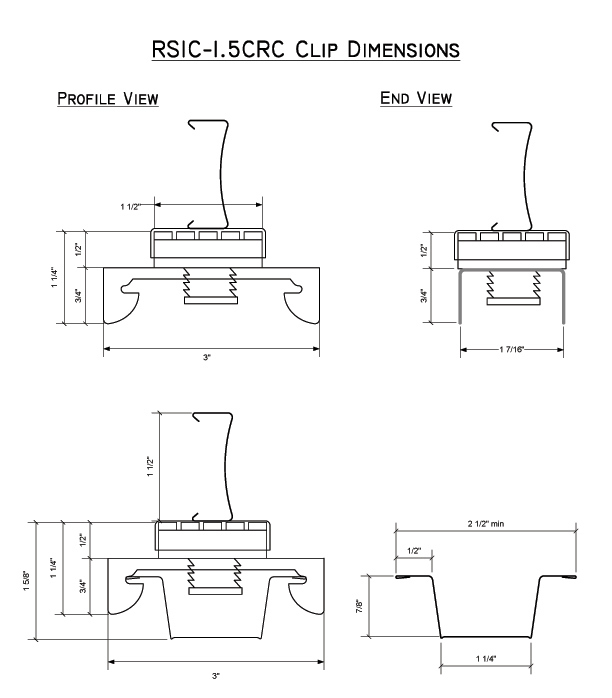 The RSIC-1.5CRC™ Clip snaps onto cold rolled channel, allowing for all of the wires supporting the cold rolled channel to be hard connected to the ceiling above, including the vertical strut. The RSIC-1.5CRC™ decouples the Gypsum Board below the cold rolled channel to ensure a complete decoupling of the Gypsum Board for optimum noise control.